Former Milwaukee Brewers slugger, Geoff Jenkins, will be inducted into the teams Walk of Fame later this year. The Brewers also announced on Thursday that Prince Fielder and former general managers Harry Dalton and Doug Melvin will be on the team’s Wall of Honor. The Brewers and the Milwaukee Braves Historical Association will induct pitcher Bob Buhl into the Braves Wall of honor. Jenkins was the Brewers first-round draft pick in the 1995 draft. He played 10 seasons with the Brewers, then finished his career with the Philadelphia Phillies in 2008. He hit .277 with 212 home runs and 704 runs batted in. 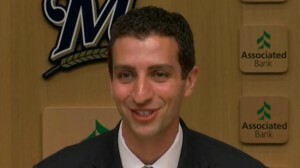 New Milwaukee Brewers general manager David Stearns started the restructuring process of his front office on Tuesday by announcing that assistant GM Gord Ash and the organization’s farm director Reid Nichols are being removed from their positions. Ash was offered a yet to be determined role in the organization but Nichols will not be back. The team’s director of minor-league business operations, Scott Martens, also was offered an opportunity to stay with the Brewers. Stearns said the move to not retain Ash is simply him wanting to have a number two man that he knows and is comfortable with. Ash and Nichols were hired by former Brewers general manager Doug Melvin back in 2002. The last time the Milwaukee Brewers went to the World Series was 1982, David Stearns hadn’t been born yet. The 30-year-old Stearns was introduced today as the Brewers new general manager and it’s his job to get the organization back into the post season. Stearns comes from the Houston Astros, where he worked as the assistant general manager. 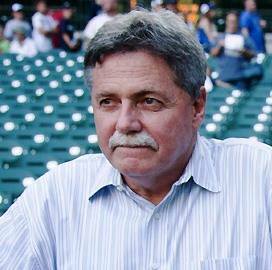 Current Brewers general manager Doug Melvin is transitioning out of the role that he held since 2002. According to reports, the Milwaukee Brewers are expected to name Houston Astros assistant general manager David Stearns as their new general manager, possibly as early as Monday. Neither the Brewers or the Astros have confirmed or commented on the reports. The story was first reported by Ken Rosenthal of Fox Sports. The 30-year-old Stearns is a 2007 graduate of Harvard University. He is currently assisting general manager Jeff Luhnow in all baseball capacities. Prior to being hired by the Astros, Stearns served as the Cleveland Indians director of baseball operations from 2011-’12. Pittsburgh Pirates Director of Player Personnel, Tyrone Brooks is being interviewed as a potential replacement for Doug Melvin, who announced last month that he will be stepping down as the Milwaukee Brewers General Manager. The Milwaukee Journal Sentinel says Brooks is on a short list of candidates to replace Melvin, with the hopes of having a new general in place possibly before the postseason comes to an end. 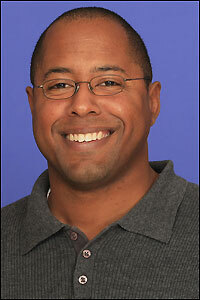 The 41-year-old Brooks oversees the Pirates’ pro scouting and international scouting departments. He’s in his sixth season with the Pirates and 20th in pro baseball. The Brewers are also expected to interview Oakland A’s assistant general manager Dan Kantrovitz and Tampa Bay assistant GM Chaim Bloom. Brewers director of amateur scouting and special assistant to Doug Melvin, Ray Montgomery is believed to be the only internal candidate being considered for the opening. 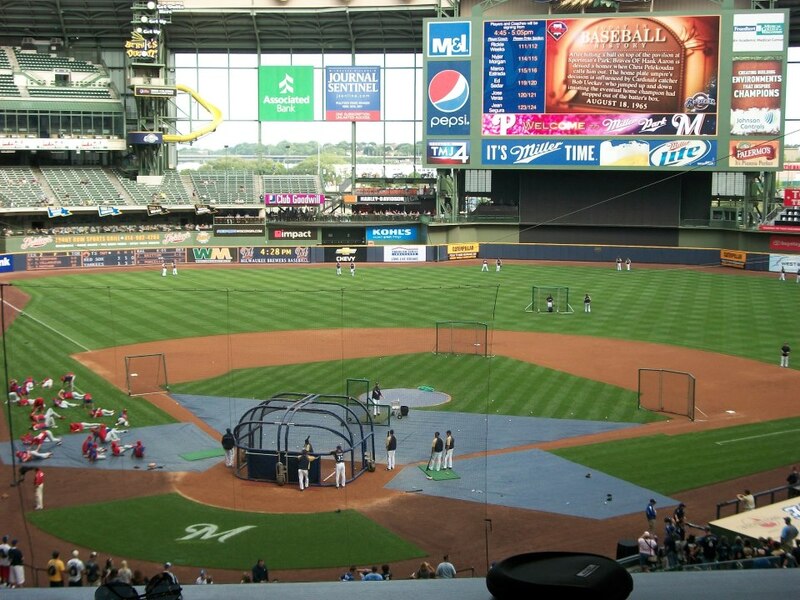 The Milwaukee Brewers are looking for a new general manager. Team owner Mark Attanasio is in Chicago for the ownership meetings. He and GM Doug Melvin jointly told reporters that they are beginning the process of finding a new GM. Melvin said he told Attanasio he was ready to transition out of that role but will remain a paid adviser until a successor is found. Melvin has been working on the final year of his contract for the first time since he started on the job back in 2002. After going 5-17 in April, the Brewers dismissed manager Ron Roenicke and replaced him with Craig Counsell, who signed a three-year deal. Attanasio said a tentative list of candidates have already been compiled and he’ll use the ownership meetings to seek permission to interview those candidates. Attanasio said any new GM candidates would have to be very convincing to get them to agree to a managerial change from Craig Counsell. 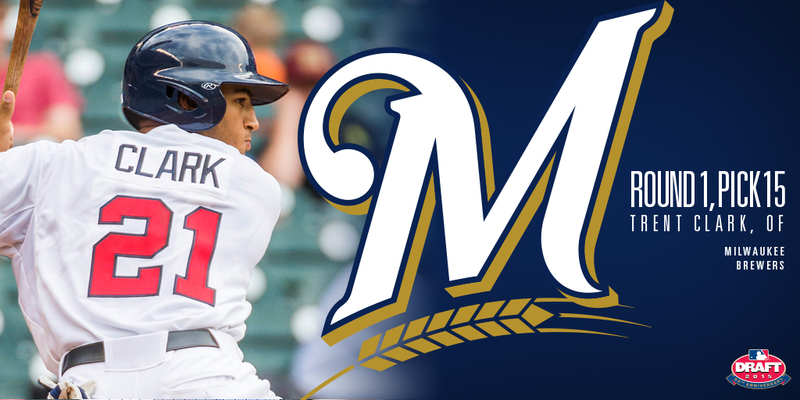 The Milwaukee Brewers made eight more selections during the second day of the 2015 First-Year Player Draft. The day 2 tally has the Brewers selecting 5 pitchers, 2 infielders and 1 outfielder. Through the first two days, the Brewers have selected 11 players in all, seven of them are pitchers. Of the 11 players selected, seven of them come from the college ranks and four are right out of high school. The Draft concludes today at 11am with rounds 11 through 40. Brewers select Trent Clark with 15th pick in baseball’s amateur draft. The Milwaukee Brewers hadn’t used their top overall pick in baseball’s amateur draft on a college player since 2011. They kept it that way again last night, selecting 18-year-old high school outfielder Trent Clark from North Richland, Texas with the 15th overall selection in the first round. The left-handed hitter hit .552 with three home runs and 24 runs batted in and 11 stolen bases as a senior and is considered one of the better bats in the draft. 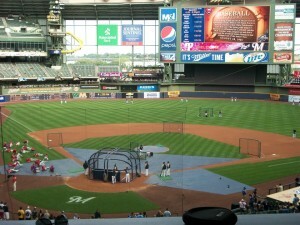 The Milwaukee Brewers (8-19) are likely headed for a rebuild. The question yet to be determined is just how big that rebuild will be. Since Ron Roenicke was fired on Sunday night, the Brewers have gone 1-1 under new manager Craig Counsell. Will Counsell be able to change the landscape with the Brewers and turn the poor start around? Maybe! But I think there’s more wrong with this team than there is right. The Brewers are going to have to eventually change their roster and may have to go with a complete overhaul. They’ll have the next two months to determine who stays and who goes. 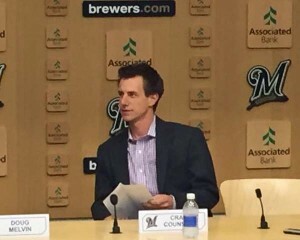 Craig Counsell takes over as Brewers Manager. The Milwaukee Brewers have officially named Craig Counsell the 19th manager in franchise history, signing him to a three-year contract through the 2017 season. 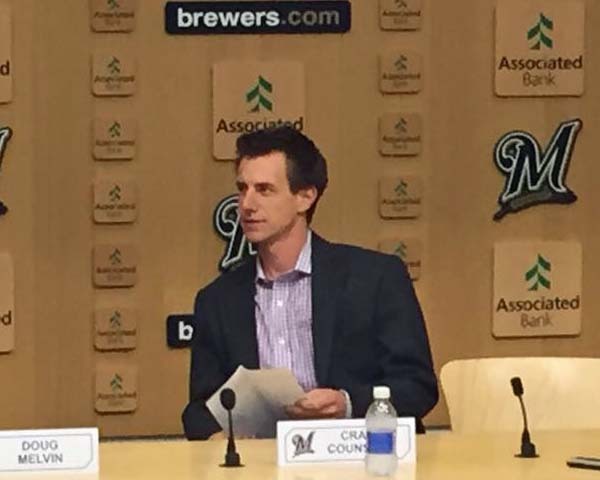 Counsell replaces Ron Roenicke, who was fired on Sunday night.